The MIND diet was associated with a slower rate of cognitive decline, equivalent to 7.5 years of younger age, according to initial findings. The MIND diet doesn’t specify high fruit consumption other than berries. A hybrid of the DASH and Mediterranean diets—appropriately called the MIND diet —that factors in the latest research on cognition and nutrition may protect memory and thinking even better. Martha Clare Morris, ScD, of Rush University, and colleagues developed the MIND (Mediterranean-DASH Intervention for Neurodegenerative Delay) diet score, which particularly focuses on “the dietary components and servings linked to neuroprotection and dementia prevention.” Many of these components are foods and nutrients we’ll look at in depth in the next few chapters. Similar to the Mediterranean and DASH regimens, MIND “emphasizes natural plant-based foods and limited intakes of animal and high saturated-fat foods.” Unlike those dietary patterns, it also specifies the consumption of berries and green leafy vegetables. The MIND diet doesn’t specify high fruit consumption other than berries. “Blueberries are one of the more potent foods in terms of protecting the brain,” researchers noted, and strawberries also have performed well in past studies of the effect of food on cognitive function. MIND drops the DASH recommendation for high dairy consumption and calls for only weekly fish consumption, which is lower than recommended in the Mediterranean diet. The MIND diet includes at least three servings of whole grains, a salad, and one other vegetable every day—along with a glass of wine. It also involves snacking most days on nuts and eating beans every other day or so, poultry and berries at least twice a week, and fish at least once a week. You should limit eating the designated unhealthy foods, especially butter (less than 1 tablespoon a day), cheese, and fried or fast food (less than a serving a week for any of the three). Initial findings comparing the MIND diet to DASH and the Mediterranean diet were encouraging. More than 900 participants, ages 58 to 98, were assessed for adherence to the three diets, then followed for an average of 4.5 years. During that span, 144 incident cases of Alzheimer’s were diagnosed. The MIND diet was associated with a slower rate of cognitive decline, equivalent to 7.5 years of younger age. Those with the highest MIND diet scores were 53 percent less likely to develop Alzheimer’s disease than those with the lowest scores. The lower risk for those most closely following the MIND diet was similar to those with the highest adherence to a Mediterranean diet (54 percent) and the DASH plan (39 percent). But only the top one-third of Mediterranean and DASH scores were associated with lower Alzheimer’s risk. The second-highest third of MIND scores also were associated with lower risk (35 percent), however, suggesting that even modest dietary improvements following the MIND pattern could be beneficial. Although the observational study was not designed to prove cause and effect, Dr. Morris and colleagues noted that the results “suggest that even modest adjustments to the diet may help to reduce one’s risk of Alzheimer’s disease. For example, the MIND diet score specifies just two vegetable servings per day, two berry servings per week, and one fish meal per week.” Those recommendations are much lower and easier to achieve than comparable guidelines in the Mediterranean or DASH plans. For more tips on eating for brain health, purchase Brain Power and Nutrition at www.UniversityHealthNews.com. 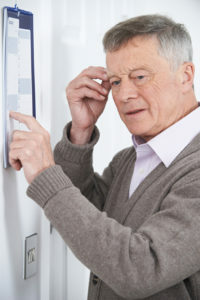 alzheimer, brain, brain health, brain power, cognitive decline, cognitive function, dairy, dash plan, dementia, diet, fast food, food, health, mediterranean dash intervention for neurodegenerative delay, mediterranean diet, memory, mind diet, nutrients, nutrition, nuts, the mediterranean diet, vegetables, whole grains, wine.